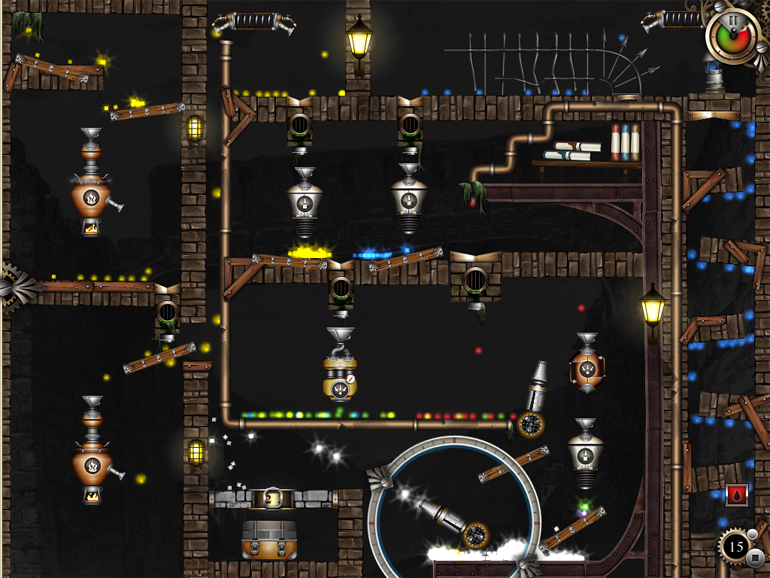 "[…] Without a doubt one of the best iPad games yet." 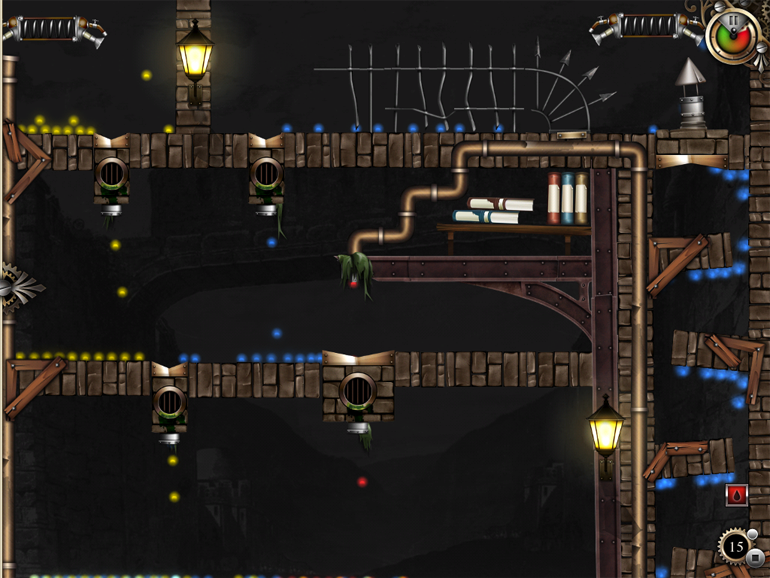 "Simply a fantastic puzzle game that is challenging, deep and graphically stunning. An absolute treasure." "[…] While your typical iPad game looks great, ones this polished in both looks and gameplay are still few and far between. Recommended." 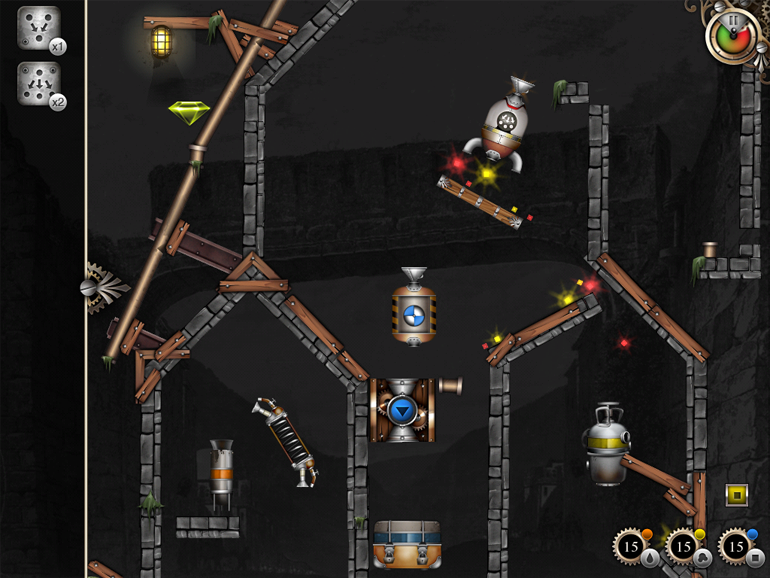 "[…] If you love quality puzzle games and have been looking for new titles to keep your iPad company, you surely canít go wrong with this unique and delightful puzzler." 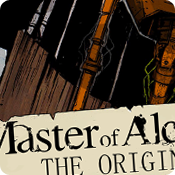 » Master of Alchemy's Comics: The Origins! 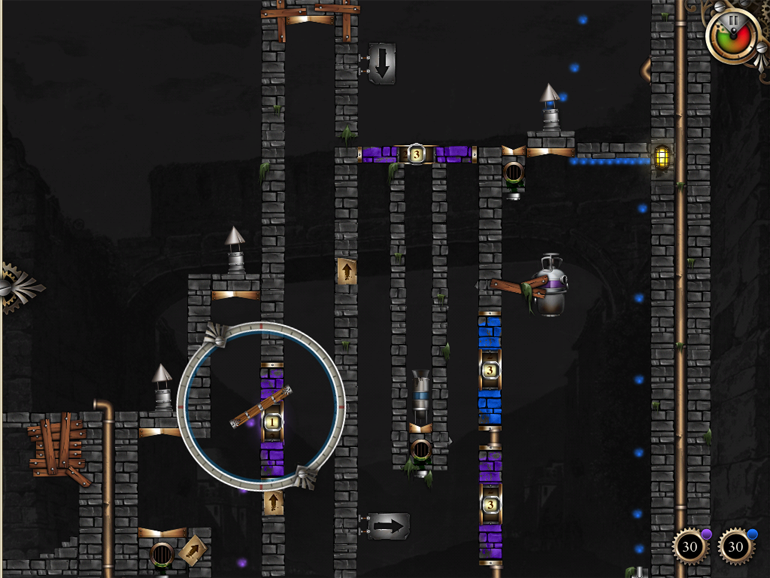 » Master of Alchemy: Screenshots! » Introduction to the MoA's settings! 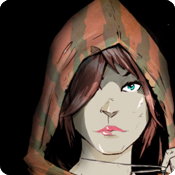 » Master of Alchemy: Illustrations & Sketches! 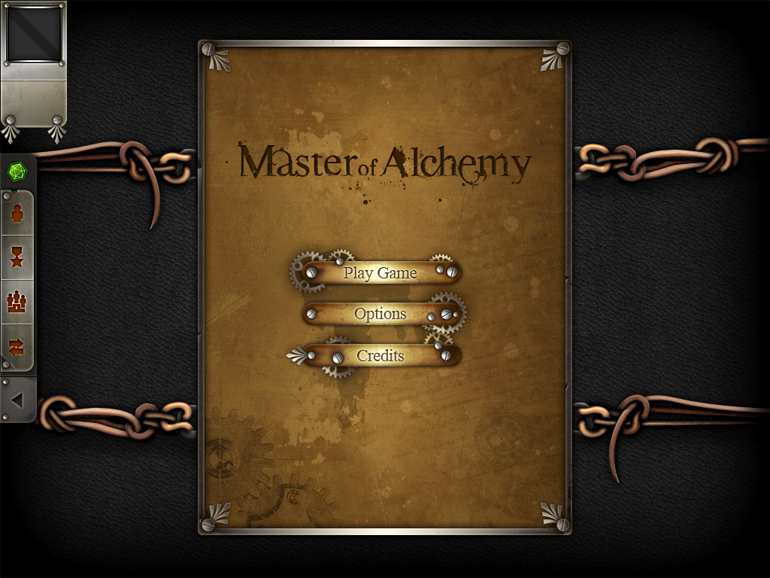 Master of Alchemy is the first episode of the approaching new war between alchemists and mechanologists. Alchemists need new recruits, do you want to be one of them? 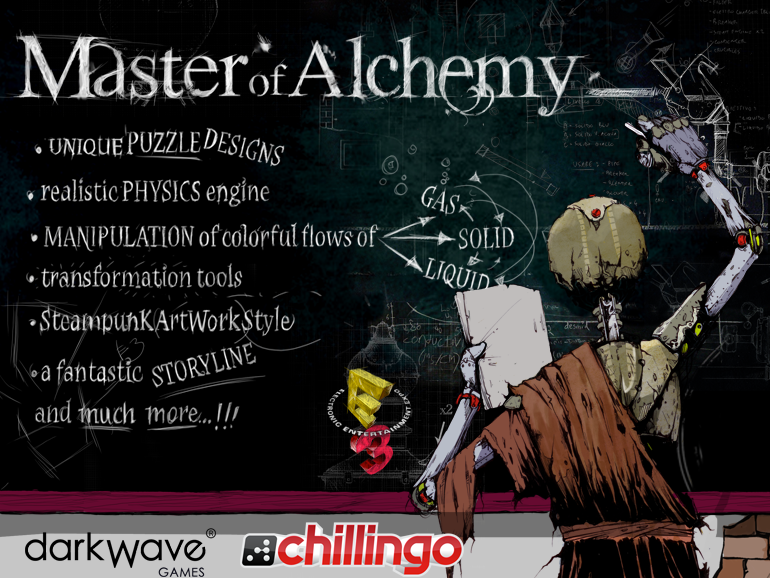 Learn all the secrets of alchemy playing Master of Alchemy! Do you want to know more about with epic war? Read this short introduction to the MoA's setting. 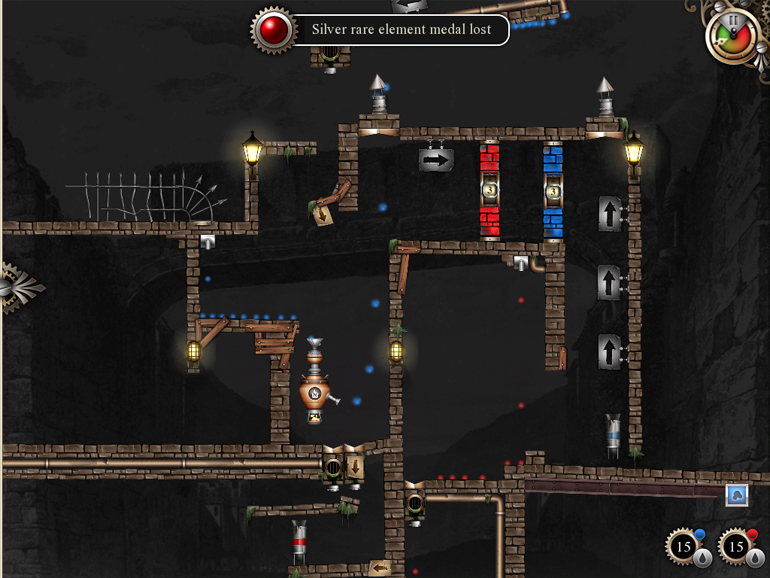 Master of Alchemy is an original and engaging puzzle game based on the manipulation of solid, liquid and gaseous elements. 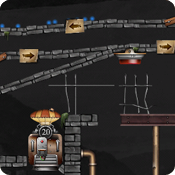 Substances' streams are characterized by a realistic behavior, because of the implementation of a physics engine. 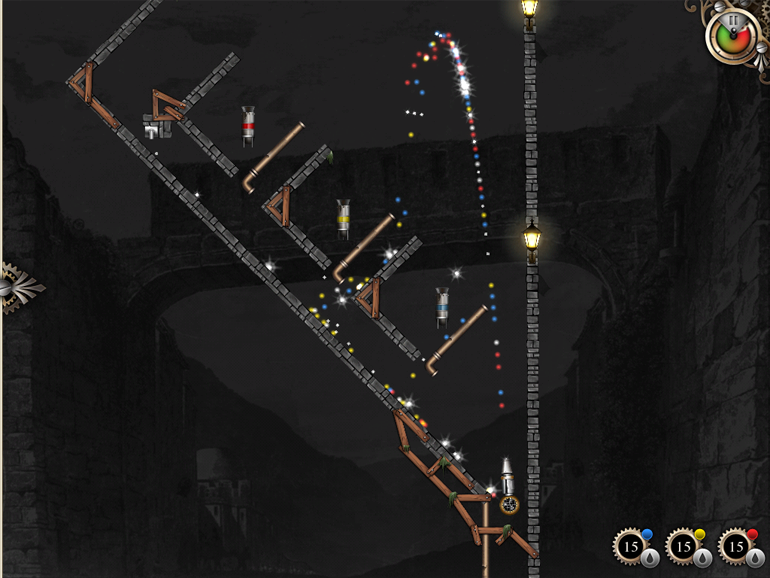 Exploiting the features of a series of instruments (stills or alambics, button, hot air balloons, etc. 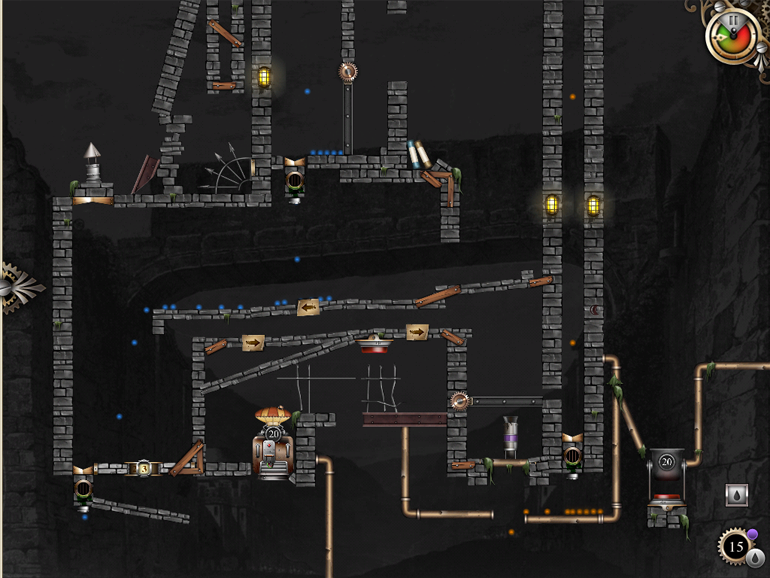 ), you can create new elements and substances. 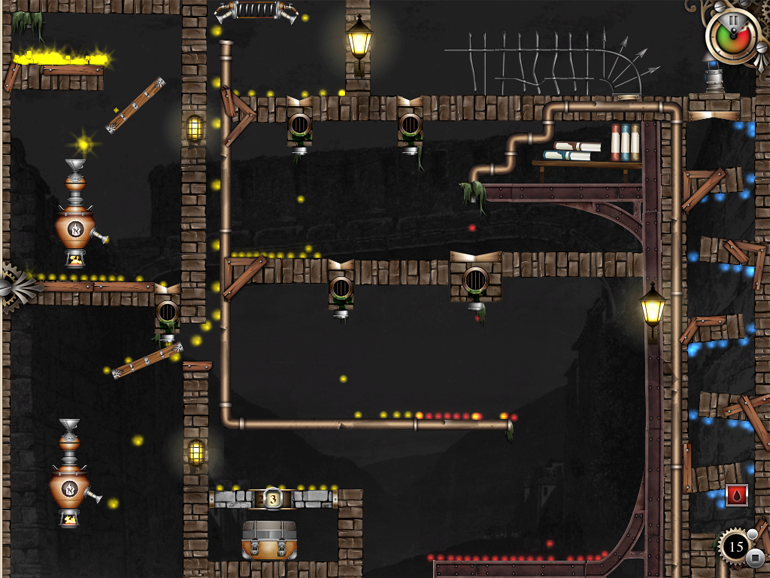 To complete each level, you have to generate one or more required substances and bring them to some targets containers. So, like an alchemist, you can create objects, starting from basic elements characterized by different colors and by the three material states. In detail, you have to manage a small alchemic laboratory that is equipped by an increasing number of instruments (alambics: like crucibles, pipes, coils, blenders, steam engines, condensers, etc.). 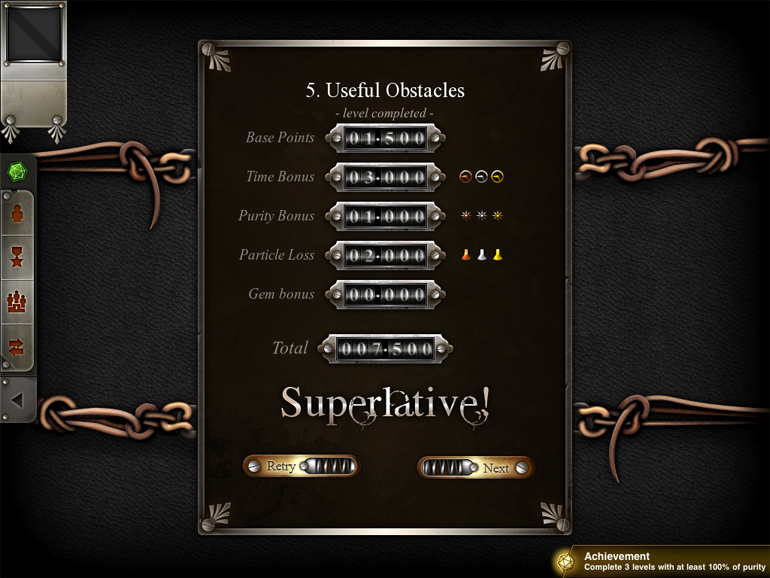 Thanks to these tools, you can blend, fuse, sublimate, condense or break up elements, according to the targets and limits/obstacles of levels. 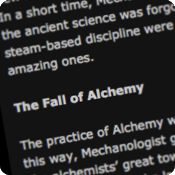 In background to the various levels, there is the history of Master of Alchemy: the war between the two factions of the setting (alchemists and mechanologists - the machine-oriented scientists). 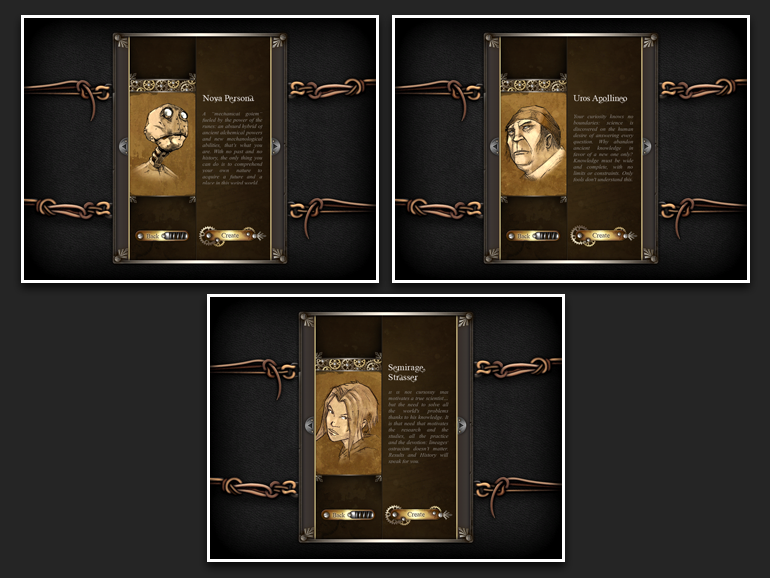 At the beginning of MoA, you have to choose which alchemist to perform (among a group of six characters). During the game, your alchemist will evolve.